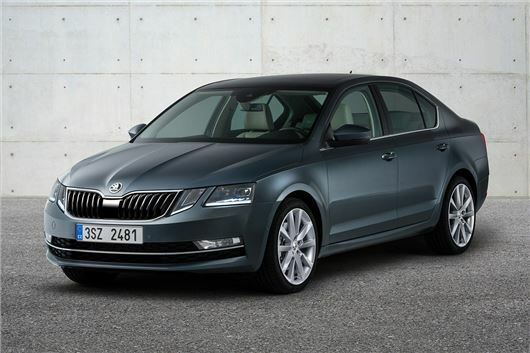 Skoda has revised the Octavia, with a new headlight design and updated infotainment the most important changes. It will be available in both hatchback and estate forms from early 2017, with a starting price that’s unlikely to change much from the current £16,600. Skoda calls the revisions “major”, but the Octavia doesn’t look massively different. There are new headlights, with a split design similar to the previous generation Mercedes-Benz E-Class, but otherwise the Octavia looks the same as it did before. The engine range in the UK consists of the 115PS 1.0-litre TSI petrol, the 150PS 1.4-litre TSI petrol, the 115PS 1.6-litre TDI and the 150PS 2.0-litre TDI. Revised versions of the sporty vRS and the off-road styled Scout will have their own engine options and are due later in 2017. All three infotainment system options, named Bolero, Amundsen and Columbus, have been revised with a new glass screen and smartphone-style capacitive touch system, which will make them more responsive even to light touches. The top infotainment systems now has a very large 9.2-inch screen, which is similar in size to a tablet computer, plus it comes with the option of a built-in SIM, providing portable WiFi. It’ll also feature smartphone connectivity via Apple CarPlay and Android Auto. A trailer assistance system is now available and will automatically adjust the steering to aid when reversing a trailer. There is improved autonomous emergency braking, along with blind spot detection and rear traffic alert to help when driving on the motorway and when backing out of a driveway or parking space. Among the new Simply Clever features are customisable keys. Two drivers can then set up their individual preferences and the car will adjust depending on which key is used. A heated steering is also available, while estate variants come with a torch in the boot.